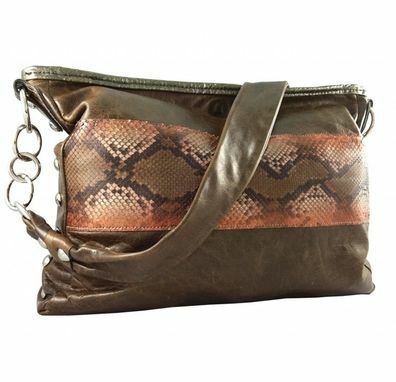 Spacious shoulder bag with stylish interlink chain strap. Metallic leather accented with cotton candy lamb suede and piped edges. Interior lining also in cotton candy suede.